Gasoline, 4-cylinder in-line injection engine. High-speed, dynamic and fuel-efficient engine with good traction. The engine has high torque and increased power as compared to the base model - ZMZ-4062. The engine has high elasticity in acceleration dynamics and traction characteristics and that adds exceptional running characteristics for vehicle and secures comfortable and consistent drive. On a vehicle the engine ZMZ-40522.10 is equipped with the three-com­ponent exhaust gas neutralizer and that complies with EURO-2 environ­mental standards. 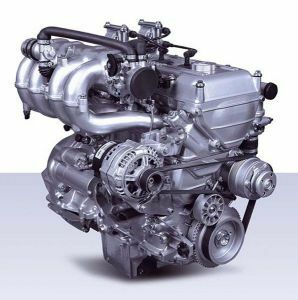 The engine is designated for installation on light-duty trucks and mini­buses.